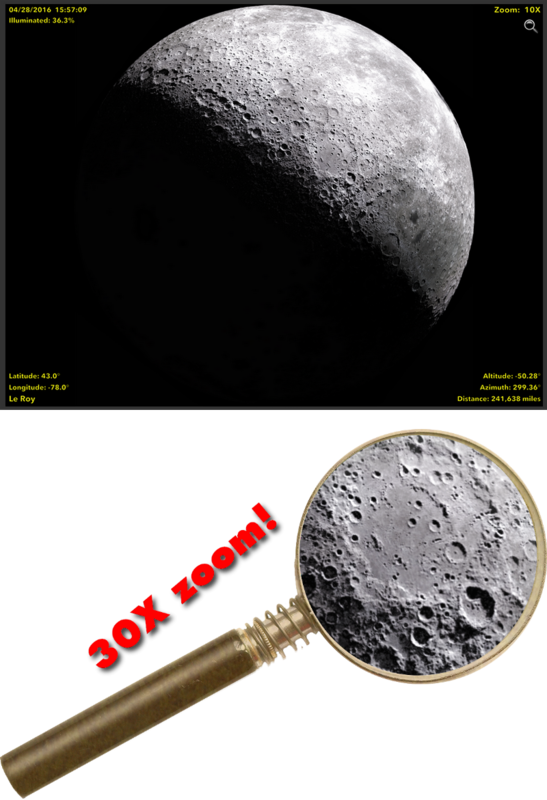 Like the companion app Nearside HD, Farside HD shows you the moon as it should be seen – with a twist! Farside shows you the other side of the moon, the side that forever faces away from Earth. Until 1959, no human eye had ever seen the far side of the moon. Now you can view it anytime, with real colours, real shadows, updated continuously and seamlessly to give you a large, clear image of the far side of the moon as though you were out in space to see it. Zoom in to a remarkable degree and pan across the surface, or tap the screen to remove the informational overlay and use the app as a beautiful full-screen display of just the moon itself. Farside HD works on a wide range of Ap­ple de­vic­es, from the iPhone 4S to the lat­est iPad. © 2016, Neal Bridges. All Rights Reserved.